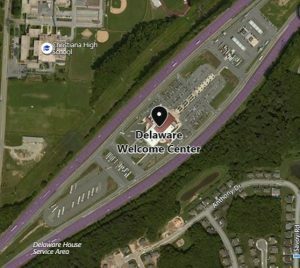 Newark – The Delaware State Police are investigating a robbery that took place at the I-95 service plaza early Thursday morning. The incident occurred at approximately 3:05 a.m., Thursday, December 6, 2018 at the Sunoco gas station located at 530 JFK Memorial Highway, Newark. The suspect approached an employee at the sales counter and threatened him with a can of pepper spray. The suspect then grabbed a box containing multiple cartons of cigarettes and fled the business in an unknown direction. The employee was not injured as a result of the incident. The suspect was described as a black male, 50-55 years of age, 5’10”-6’1”, 180-190 lbs., wearing a blue shirt and tan pants.